Sharrow proudly carries Harrington electric chain and wire rope hoists, air powered hoists, lever hoists, manual hand chain hoists, trolleys and cranes. Known for their durability, reliability and ease-of-use, Harrington equipment will help you lift, control, and manipulate heavy or bulky loads in a safe and efficient manner. With the assistance of Sharrow Lifting Products, you can be confident of getting the right equipment for your needs and the best possible solution for your application. 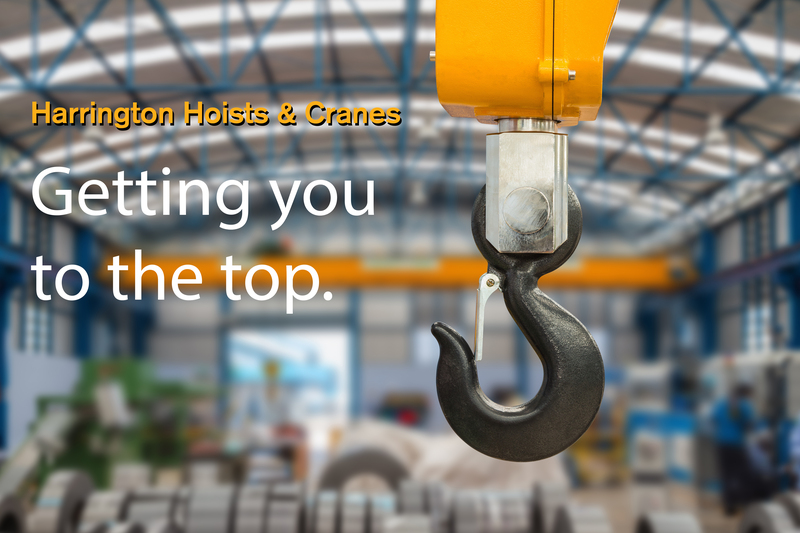 We offer inspection and repair services for all hoists and cranes as well. Get the overhead view of your lifting equipment with DronesGlobe MJX drone—or use it for fun! Record video in vivid 1080p or watch the live video feed from your smart phone. Sharrow is giving away this remarkable drone to one lucky person. Sign up to win today. Contest ends August 31, 2018.